The first Landscape Surgery of 2019 brought together three different perspectives on explorers’ bodies. This interdisciplinary session was organised by me (Ed Armston-Sheret), and included papers by Dr Vanessa Heggie (Reader in the Institute of Applied Health at the University of Birmingham), Rosanna White (PhD candidate from the GDSJ group of Royal Holloway’s Geography Department) and myself. In bringing together cross-disciplinary perspectives on the explorer’s body, the papers sought to develop insights relevant to scholarship on the body, the history of geography, and the continuing role of explorers in debates about heroism and national identity. Vanessa Heggie presented a paper titled ‘Standardised Encounters,’ examining the disproportionate attention given to the white-male body within much medical research about the effects of extreme environments. She began by talking about the ‘Death Zone’ on Everest — the area near the summit of the mountain where there is not enough oxygen to sustain human life. Vanessa highlighted how the Death Zone is a subjective concept: atmospheric conditions and latitude can cause the amount of oxygen in the air to vary considerably, while bodily differences mean some are able to cope with it better than others. Such high-stakes spaces consequently offer valuable opportunities to consider the relationships between different kinds of human and non-human bodies. Until the 1950s, the Death Zone, Vanessa argued, was constructed as a white-male space. 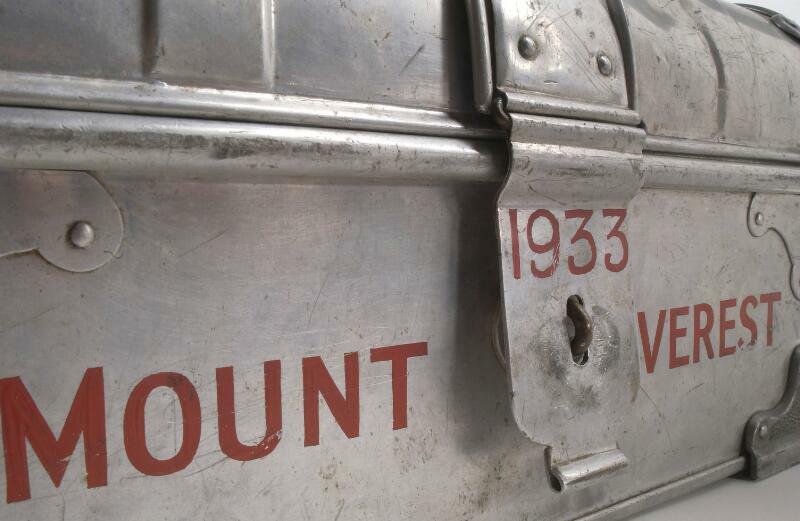 Women were excluded from Everest expeditions for much of the 20th century and the experiences and bodies of Sherpas and other ‘porters’ were frequently ignored. Vanessa explained that the standardisation of the white-male body as the normal body for physiological experiments in extreme environments had a number of consequences. On one level, it defined what medics viewed as the ‘average’ or ‘normal’ body in medicine — and has since led to a diminished scientific understanding of how female and non-white bodies respond to altitude. In turn, this problem became self-reinforcing, as the lack of knowledge about women’s responses to altitude was used as an excuse to exclude women from future expeditions. Vanessa also highlighted how a focus on the white-male body has shaped the design of clothing and equipment. While white-male members of expeditions had bespoke clothing and equipment designed to fit their bodies, this was not true of women or Nepalese climbers. 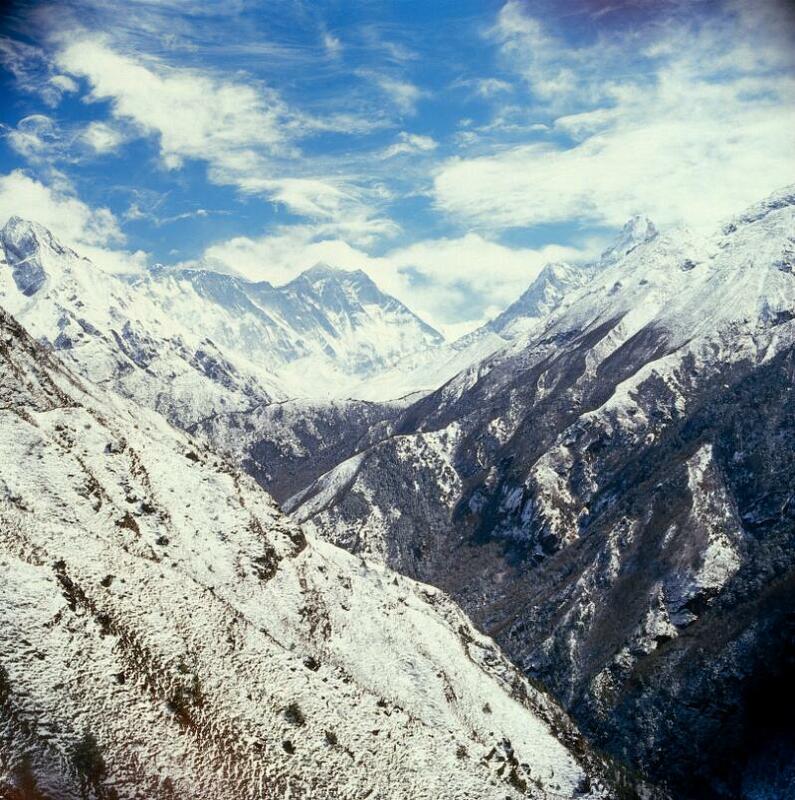 Indeed, oxygen masks weren’t designed to fit Nepalese faces until 50 years after the first use of oxygen on Everest, despite the central role Nepalese climbers played in every Everest expedition in the intervening period. Finally, Vanessa explored how bodies themselves mark the Death Zone. The bodies of dead climbers are often difficult to remove because of both altitude and weather conditions, meaning that most people who die in the Death Zone remain on Everest. This has meant that some bodies have even become waypoints that mark routes up the mountain, taking on a cultural significance that exceeds their physiological attributes and the physical conditions that led to their deaths. The second paper of the session was presented by Rosanna White. Rosanna’s paper examined the efforts of the Canadian government to claim sovereignty over the Arctic through representations of exploration heritage. Rosanna explained that the Arctic presented a particular challenge for traditional notions of sovereignty, and historically made it hard for the Canadian government to settle the Canadian Arctic in the same way as other parts of Canada. As Rosanna noted, the inhospitable conditions of the Arctic made many traditional expressions of sovereignty — e.g. establishing large settlements, building transport links or other state infrastructure — expensive or impractical. Reflecting on how the Canadian government approached the discovery of the HMS Erebus and HMS Terror, wreckages of two ships led by Victorian British explorer Sir John Franklin, Rosanna argued that Canada had used these ships to try to demonstrate the longevity of Canadian presence in the Arctic. By deciding to leave these ships on the sea-bed of the North-West Passage, where they have become both historic landmarks and ecosystems for sea life, the Canadian government articulated a form of sovereignty underpinned by a consistent heritage of exploration and stewardship of nature. 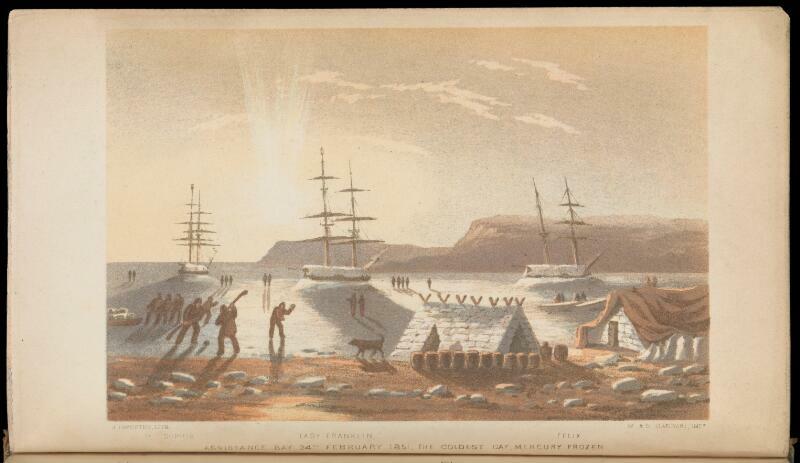 Another angle from which Rosanna approached this situation was the Canadian state’s changing policy towards Inuit communities living near the ships. In recent years, Rosanna noted, Inuit communities have been actively involved in the management and stewardship of the wreck sites. Not only was this a practical measure to help preserve the wreckages, but simultaneously an innovative way to extend the reach of the Canadian government into the Arctic by encouraging local participation in maintaining national heritage. In particular, Rosanna recognised that the project intersected with national guilt surrounding the state’s colonial practices towards Inuit communities. 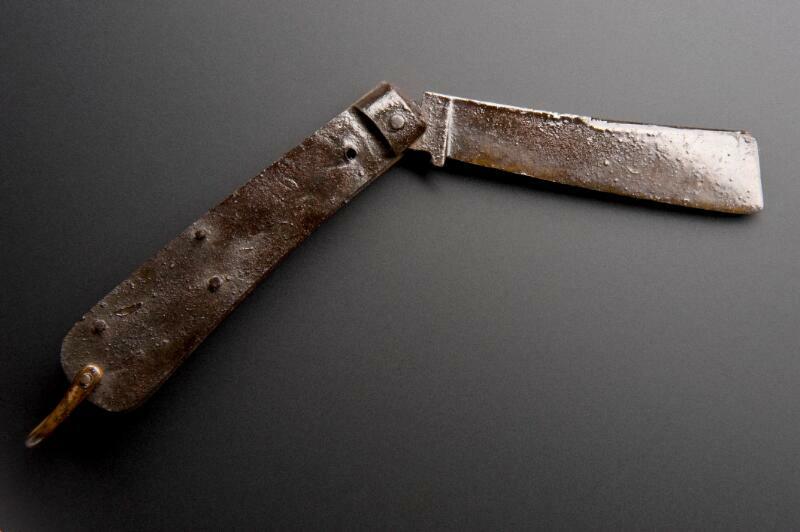 A razor blade recovered from the Franklin expedition (Credit: Science Museum, London). The final part of Rosanna’s presentation discussed a Canadian stamp series which featured HMS Erebus, one of the Franklin ships. One stamp image depicted the ship trapped in ice, highlighting both the ice’s materiality and the hindrances it presented to exploration; while another included a map of the area where the ship was found, using Inuktut place names. Rosanna contended that these stamps were exemplary of the Canadian government’s efforts to use evidence of historic exploration and indigenous culture to demonstrate sovereignty over the Arctic. Is brandy a tropical medicine? Finally, my presentation analysed how late nineteenth-century British explorers used alcohol to help them cope with the effects of travel in the tropics. I highlighted how many travel guides and some explorers advocated moderate and regular drinking when a traveller was in the tropics. Therefore, alcohol became defined in spatial terms: practices of drinking that might be harmful in Europe were often considered beneficial elsewhere. I contextualised this debate within nineteenth-century thinking about acclimatisation. Some thought that Europeans were inherently unsuited to warm climates; others thought the body could adapt if the correct precautions were followed. The tropics were often constructed as a moral arena, where good conduct and ‘clean living’ were considered important. Notably, these ideas intersected with changing medical attitudes towards drink over the course of the nineteenth century, as other medical treatments fell into decline and the temperance movement grew in prominence throughout Europe. Delving further into these historic moral geographies of alcohol consumption, my presentation identified how ideas about tropical drinking were simultaneously rooted in Victorian notions of racial difference. While alcohol was often listed as a medicinal supply for European members of an expedition, local people were generally seen as not needing to drink in the same way. But because curbing ‘native alcoholism’ was often used as part of the justification for colonial rule, European drinking in the tropics could also prove problematic for both the travellers themselves (who often found ‘moderate’ consumption hard to define) but also to the moral basis for colonial rule. By the early twentieth century, drinking in the tropics was widely discouraged, partly down to the rise of tea and coffee as alternative stimulants and partly because of accusations that Europeans were drinking too much. Ultimately, I argued that these issues highlighted the importance of travel and globalisation in changing attitudes towards drink, temperance, and consumption, as well as the central role of environment in much nineteenth-century thinking about the body. The papers were followed by a lively and wide-ranging discussion that unpacked a diverse set of themes arising from the presentations. One of the questions put to the presenters considered the role of non-human bodies in both exploration and extreme environments. This question highlighted how the exploration of extreme environments was only possible through the use/exploitation of various non-human bodies. Another question addressed the issue of vulnerability and imperviousness, which provoked a discussion about the role of national rivalry and ideas of racial difference in extreme-environment physiology. Other questions addressed the differentiation between the bodies of leaders and subordinate members of expedition teams, and the degree to which leadership required a certain type of body. The panellists were also asked about affective practices of care and co-operation among team members. I would like to thank my fellow presenters Vanessa and Rosanna for sharing their insights on the topic of explorers’ bodies alongside me in this session, and to those who attended for engaging so fully in the discussion prompted by our presentations.